Starting out in the classical music world is never easy. Commissions lead to commissions, performances to further performances, but this relies on an initial opportunity to get you started. There is no flame without a spark. 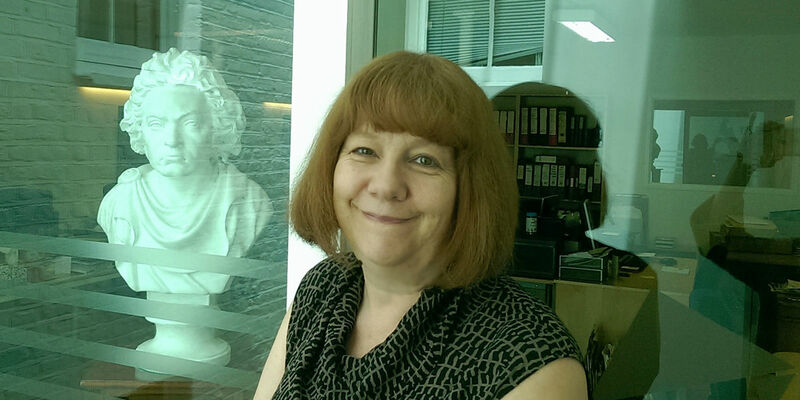 In December 2017, one very notable inspiration in classical music, someone who has sparked many a career – the Executive Director of the Royal Philharmonic Society (RPS), Rosemary Johnson – announced that she will be standing down from her position. Rosemary Johnson has led the commissioning organisation and music charity for 20 years, supporting over 100 young musicians annually through commissions, conducting schemes and bursaries. Rosie has overseen the incredible transformation of the Society from a small London-focused organisation into a nationwide community of music-lovers. It has become one of the pre-eminent forces for change in the classical world, not least through the annual RPS Music Awards, a ceremony that Rosie has placed at the forefront of the Society’s work. The Awards recognise the greatest achievements in live performance over the previous year, and Rosie’s determined and passionate leadership has ensured the accolades are among the most respected in the world. Since she took charge of the organisation in 1998, RPS Award winners have included pianists Stephen Hough and Maurizio Pollini, conductors Daniel Barenboim and Antonio Pappano, and singers Sarah Connolly and Roderick Williams. 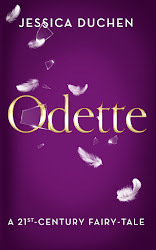 The list of winners reads like a who’s-who of classical music, and Rosie has played an enormous part in creating this. Clearly much-loved by the industry, every professional musician I have come across has smiled at the mention of her name. Her legacy is the enhanced reputation and voice given to classical musicians, and what a legacy that is to leave. The RPS has been one of the great starting points in my musical career, co-commissioning a composition of mine with Classic FM for the station’s 25thbirthday. Without a platform, without momentum and without the motivation this all brings, it would be profoundly more difficult to launch a musical career. I remember feeling rather daunted when, at a photo shoot at Classic FM’s studios in London, I was informed that ‘the Executive Director of the Royal Philharmonic Society will be arriving shortly’. There’s something about the long job title, as well as an organisation with such an illustrious history, that suggested a level of distance. The word ‘Society’ so often seems to evoke a rather sober meeting of serious-minded traditionalists, talking about doing things whilst not doing them. But the RPS is far from this. Rosie was the greatest advert for classical music from the moment we met. Here was someone who was willing to take risks, try new ideas, and who always wanted young musicians to feel supported as they made their first steps into the profession. This genuine support of their musicians is made clear by one fact; I learnt with surprise that a member of the RPS team attends every premiere of their commissions. What better way to make a young composer feel appreciated? In promoting the work of new voices, Rosie has kept to the greatest traditions of the RPS. Founded in 1813, it was originally intended to encourage instrumental concerts in London at a time when no permanent orchestras or chamber concerts existed in the capital. With five permanent home-based orchestras, 21st-century London is a global music hub. At the centre of the city’s classical music scene is the RPS. Commissioning new works has long been at the heart of the organisation. The Society famously commissioned Beethoven to compose his Symphony No. 9, as well as Mendelssohn’s Italian Symphony. Today, the RPS remains dedicated to the development of new composers, having commissioned 170 new pieces since 2000. Throughout the entire 20thcentury, the RPS commissioned just 16 new works. Despite having a permanent staff that you could count on one hand alone, Rosie has given young musicians like me the opportunity to get our voices heard for the very first time. What some musical heavyweights would see as a risk, Rosie sees as an exciting opportunity. The classical world needs more people like her. At a time when some question the future of classical music, Rosie is determined to make a difference. Where others comment on a situation, Rosie is busy getting stuck in. Perhaps most worthy of recognition is her deeply-held conviction that classical music deserves to be celebrated, that this is a genre we are right to feel proud of. This love of music is its greatest possible advert. It seems ironic that one of the key figures driving the RPS Awards has herself yet to be fully recognised. The RPS points out that the word ‘philharmonic’ describes a person or institution that is ‘music-loving’. With her extensive support of young musicians, her open-mindedness in considering new ideas, and her dedication to raising the profile of classical music, Rosie Johnson is undoubtedly ‘music-loving’. She is philharmonic in the greatest sense. Music has an immense potency, striking the very core of our being. There is nothing like the thrill of music. But let’s not get ahead of ourselves; we know that Bach’s structures are finely crafted, and that Beethoven’s innovations dragged music through a new age. But proficiency, innovation and craftmanship do not negate the fundamental factor that links all of the great composers: their humanity. Bruckner’s music has been described as forming “cathedrals of sound”. Robert Browning argued that “the grandeur of Beethoven’s thirty-second piano sonata represents the opening of the gates of heaven.” Berlioz believed that “there is only one god – Bach – and Mendelssohn is his prophet.” Whether these statements merely sought to emphasise the importance of such composers in the history of music, or instead arose out of a genuine conviction that these composers were linked with a higher power, the common allusion to God raises an interesting question. It is curious that we still apply such religious analogies to past composers today, given the noticeable decline in religious belief in comparison to the 19th century, in which these quotes occurred. Although these quotations come from a notably different context to our own, we tend to perpetuate these viewpoints. The times have changed, and yet our inability to express admiration for a composer without recourse to quasi-religious language remains. It is (paradoxically) reductive for us to compare a composer with a higher power; it is their humanity that makes them special, the fact that a human could create such awe-inspiring works. When confronted with a masterpiece, we seem unable to accept that its creator was a human being. Let us explore the opposite instance for a moment. When confronted with acts of evil, perhaps what shocks us most is that the perpetrators were human beings. Hitler’s favourite Wagner opera was Lohengrin. Hitler, whether we like the fact or not, was a human being; that is what makes his crimes so shocking. Yet, like so many significant figures in history, he has become a symbol, an academic discussion, a book title. It seems that the inevitable accumulation of books, essays and broadcasts have transported historical figures into the realm of the mythical. Perhaps this is a natural consequence of history. When a significant figure dies, studies, books, lectures and documentaries are inevitable, and yet we run the risk of over-analysis; reading about a composer, talking about a piece of music, perhaps we forget that – one day in the past – this was a real, breathing human being, whether we like it or not. I raise this question because the deification of composers – the placing of great music and musicians on a pedestal – could be a significant barrier to new listeners. As a young composer, I’m determined to share my love of classical music to a wider audience, and yet – as someone who already loves and actively explores the repertoire – it is all too easy to forget that classical music is intimidating to a new listener. 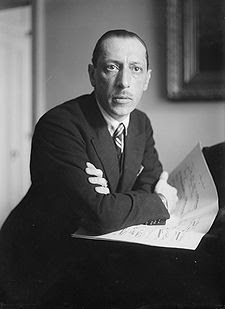 With centuries of music - where even a single year contained so much musical variety, indeed where even a single composer evolved through many different styles - it is easy for classical musicians to forget that the ‘canon’ can be a little daunting. By emphasising the other-worldly qualities of a master composer, we overlook their humanity – forgetting that they were just like us – and this may create a sense of detachment. This detachment surely promotes the false assumption that classical music is ‘old’ music, rather than a living and breathing art. Presenting ‘Musical Minds’ on Resonance FM, I have been eager to explore the anecdotal lives of great composers, emphasising the humanity and reality that binds all musicians together. In the same way I may struggle to be inspired for a piece of music one morning, so too past composers – far more accomplished than I will ever be – encountered similar difficulties when writing. Deifying past writers makes us forget that they encountered the same challenges, emotions and thoughts that we do today. It makes us forget that their music is a response to many of the issues and emotions that we face too. It makes music seem irrelevant when it is anything but. This means deification of the great composers won’t help classical music engage new audiences. Linking composers to a higher power can’t help but create an image of classical music as somehow lofty, distant and entirely cerebral. Whilst classical music is undoubtedly an ‘intellectual’ art form as well as a form of entertainment – works require repeated listening for a better understanding of their material – we should be wary of shaping the genre into some form of relic veneration, a cult or clique that worships at the altar of those who achieved what we can only marvel at. By likening composers to gods, and by neglecting the fact that even the greats could write bad music, we neglect the very thing that makes this music so impressive, so beautiful, so striking: the fact that it was written by humans. We live in a world that frequently (and perhaps rightly) dwells on the negative. The news shows conflict, poverty and injustice. However, the world is also full of good. The world is full of musicians who visit care homes, of orchestras who run workshops with the local community, of instrumentalists who visit schools and inspire a love of music in others. The great composers were no less human than any of these modern-day musical heroes. In both past and present, composers have been trying to express important truths, be they personal, emotional, political or global. But high intentions and impressive masterpieces should not distract us from their humanity, the fact that these composers were all human beings like us. Musical masterpieces are a product of humanity; this is something we should be proud of. It is a medal for humankind. Equally, by emphasising the humanity of past composers, we remind new audiences that classical music is merely another form of expression, much the same in intention and origin as great artworks, pop songs and architecture. It is not intimidating. It is a real, human, living, breathing form of expression. An expression of humanity. Marvel at the “cathedrals of sound” – analyse them, relax to them, read about them, talk about them - but do not forget that a human was behind it. The fact that humans are the creators of music is what makes it so special, so expressive. The human experience behind such music is surely what makes it speak to us? Deifying past masters only serves to reduce this power of their music by distancing the creators from our own lives, making them increasingly irrelevant and archaic at a time when we need their life-giving music more than ever. Stravinsky would likely agree. He said that “the trouble with music appreciation in general is that people are taught to have too much respect for music; they should be taught to love it instead.” Music is emotional, as well as cerebral, and so we should not reduce composers to mere objects of intellectual worship. Music is mind and body. I'm on an editorial job at the moment that is leaving me no time even to think, much less blog, so I have invited our informal Youth Correspondent, Jack Pepper (composer, writer, broadcaster, 18) to offer another guest post. Here is his view on why we classical audiences could enjoy being a little bit more demonstrative in responding to the music... or even face the music and dance. 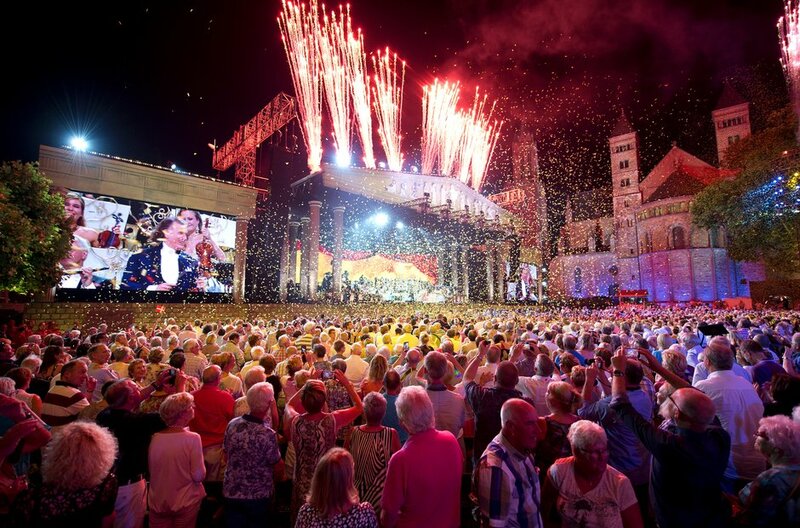 In a 2017 interview discussing the reasons for his success, André Rieu argued that “love and authenticity” are sometimes “hard to find in other classical concerts”. Perhaps it’s not that love and authenticity are lacking in other concerts, but they are instead less clearly evident. Rieu may have identified a problem…. 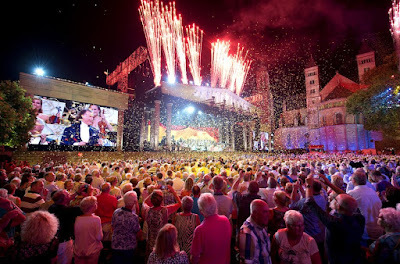 André Rieu's Maastricht concert (2015). Love and authenticity are hardly difficult to come by amongst classical musicians. The very nature of practising – working for hours at the same pages, and returning again and again – makes it ludicrous to suggest that most musicians in this field lack love and authenticity. They are most likely in this career out of love, because only the very top few percent make bucket-loads of money. However, Rieu may be correct in implying that love and authenticity are not always as bombastically displayed in other concerts in comparison to his own; where Rieu rightly displays his affection for the music through smiles, elegant gestures and bright costumes, other instrumentalists go for a simpler touch. They don’t aim so much for a ‘look’ or a ‘brand’, instead using the music alone as their image. Think of Haitink’s restrained gestures on the podium, or the control of Brendel at the piano. Rieu is a showman, and clearly loves the music he plays, but so do all the other performers who may be less flamboyant. But is there is a problem with this? Does a lack of flamboyance suggest a lack of love for the music? Of course not. We all react to art in different ways – just think of the last time you cried at a movie, or, if this doesn’t apply to you, the last time you scoffed at someone for doing so – and the same applies to performers. But Rieu’s comment does raise an interesting question about listeners: are we too serious, too high-minded, too restrained about the music we hold dear? At a rock concert, we might see headbanging. At a hip hop concert, we might see mosh pits. At a world music festival, we might see dancing. It seems all of the various genres of music involve audience participation at one point or another in a concert, and yet what does classical music have as an equivalent? Audience members often get frustrated by coughs and sneezes, actively discouraging any sound or movement from anyone other than the instrumentalists on stage. It says a lot about our attitudes to the genre that we consider the Last Night of the Proms raucous; in any other context, an audience clapping, cheering and waving some flags would be considered at best the norm, at worst rather sober. There is nothing wrong about this, since – as I previously argued – we all react to music in different ways, and surely this applies to different genres too. If we want classical concerts to be known for focus and intent, there is nothing wrong with that. However, my concern is that this tradition of audience restraint in classical concerts in reality stifles our individual reactions to the music. Instead of being a tradition of focus and intent, it seems more a tradition of restricting the joy we feel deep down when we hear a great piece of music. By sensing some unspoken concert code of conduct, we are reluctant to react to the music we love in ways that feel genuine and spontaneous to us. Silence is not the natural way to react to powerful music. 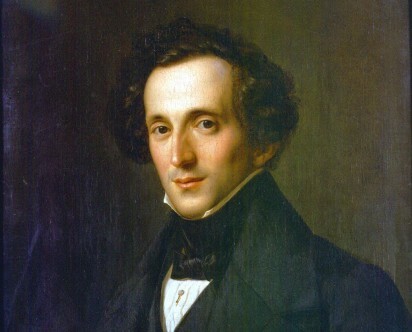 Rieu’s comment focuses on classical performers where perhaps it would be better focused on the listeners themselves. Whilst all such listeners undoubtedly love the music presented, it would often be hard to tell by appearances alone. Why should someone be reprimanded for clapping after a rousing first movement, if the infectiousness of the music drove them to do so? Why should someone be sneered at for moving in their chair at the buoyant rhythms of a scherzo? More radical still, why can’t we have concerts where people can move, dance, cheer, clap and sing? I’m not advocating a return to the 18th-century, where audiences attending an opera were often present for anything but the opera itself. But classical music seems to me to have lost its sense of celebration – celebrating the greatest music ever written – and with it, its sense of fun. Why should we restrict audience participation to one night of a concert season?! In previous centuries, there would have been chamber music for such intimate expressions of individuality and togetherness, but we live in a time when it would be considered unusual to gather round a piano as a family and sing a favourite song. Nor do many couples attend a dance, an event that previously offered the opportunity to express our reactions to music spontaneously and without judgement. The larger scale concerts have become, for many of us, our most intimate form of music-making, and yet this has not translated to the way we react to the music we hear at classical recitals. It could be argued that heartfelt cries of joy would be distracting in a classical concert, and that pieces require focus and silence in order to be fully appreciated. Why not react with a dance or a shriek at home to a recording, where nobody else can be distracted from the music? Such an attitude feels oppressive. Music is meant to be a universal language, and a language that touches a deeper part of our subconscious than anything else. Why, then, must we force ourselves to be so serious when listening to it? Rieu is wrong to suggest other musicians lack love and authenticity. Listeners equally harbour an abundance of love and authenticity for the music they enjoy. The question lies with whether we show it. I don’t advocate applauding or crying for the sake of reacting, but I strongly believe that the first time we listened to such a piece of music, we would have reacted this way. The unspoken code of conduct – of quiet, rigidity and unobtrusiveness – has conditioned us to stay silent. Music is designed to provoke emotions, response and new thoughts, and whilst we undoubtedly revere a work, are we truthfully reacting to it at all if we sit in a concert as rigid as a corpse? Marilyn Manson described music as “the strongest form of magic”. It’s time that we were open to the way we feel about the music we so love, to celebrate it. It’s time that we feel free to show the magic that makes us listen. Having visited Auschwitz-Birkenau myself, it became clear that we can never truly comprehend what happened there. Although we musicians are eager to speak of the undeniable power of music to heal and bring hope, our art could do little to ultimately save the lives of so many talented musicians in the Holocaust. That is perhaps what makes it so shocking. The Nazi machine did not care for expression, talent, potential or individuals. Music is perhaps the ultimate expression of our humanity – an “outburst of the soul”, as Delius put it – and so it seems to me symbolic that even music could not truly act against what happened. Music is the strongest form of expression, something which touches people of all cultures and backgrounds; it is a sign of the monstrosity of the Holocaust that even music was powerless to prove to the perpetrators that their victims were normal human beings. When music fails, emotion has failed. The “soul” has been suppressed. For Holocaust Memorial Day, 27 January – the day that Auschwitz-Birkenau was liberated – it is right that we reflect upon the individual stories of those who were so cruelly taken away. The Holocaust aimed to dehumanise Jews, homosexuals, gypsies, Poles and the disabled. In a 21st-century democracy that respects the freedom of individuality, we remember those killed in the Holocaust not as a vast number, not as a statistic, but as individual human beings. A human being like Viktor Ullmann. Killed in Auschwitz in October 1944, Ullmann’s work could not escape his circumstances. His chamber opera, Der Kaiser von Atlantis, was also called The Abdication of Death; the plot describes how death has been overworked, and chooses to go on strike. Sections of the libretto were written on the back of deportation lists to Auschwitz. A human being like Alma Rosé. The niece of Gustav Mahler and the daughter of violinist Arnold Rosé, for ten months Alma was placed in charge of the women’s orchestra at Auschwitz. When she first conducted the ensemble, the average age of its players was just 19: one year older than me. Rosé insisted on the highest possible standards of performance, rehearsing the orchestra for ten hours daily. Justifying such hours was not difficult: “If we don’t play well, we’ll go to the gas”, said Rosé. She died in April 1944. The orchestra was disbanded by October. A human being like Pavel Haas. Composing whilst working in his father’s shoemaking business before the War, Haas received the Smetana Foundation Award for his opera, Šarlatán (The Charlatan). For this work, Haas collaborated with a German writer, which – since he was a Jewish composer – had been forbidden by the Nuremberg Laws. To avoid difficulties, Haas changed the German-sounding name of the opera’s main character to its Czech equivalent. After its premiere in 1938, the opera was not performed on stage again until 1998. Having been interned in Theresienstadt, Nazi propaganda films showed Haas taking a bow after inmates had performed one of his operas; having been filmed for this propaganda, Haas was taken to Auschwitz. According to conductor Karel Ančerl, who was sent to Auschwitz with Haas but survived beyond the War, upon arriving at the camp both musicians stood side by side. Ančerl was about to be selected to go to the gas chambers, and at that moment Haas coughed. As a result, Haas was selected instead. A human being like Robert Dauber, who was just 23 years old when he died of typhoid in Dachau. Unlike Ullmann’s chamber opera, many of the works Dauber completed whilst imprisoned make little or no reference to his position in a camp. Music, presumably, was an escape. 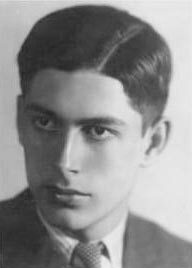 A human being like Gideon Klein, who had been forced to abandon his plans to study at university once the Nazis had closed off higher education to Jews in Czechoslovakia. He gave his manuscripts to his partner in the camp shortly before his death, a poignant example of how music can so quickly become a memorial, a testament to an entire life of work. A human being like Carlo Taube, who before the War had made a living playing the piano in cafes in Vienna and Prague. He, his wife and his child were all deported to Auschwitz in the autumn of 1944. None of them survived. These were all real people. They had such lives ahead; Ullmann had studied with Schoenberg, Haas with Janáček, Taube with Busoni. Imagine what the musical world would be like without the teachers; no Schoenberg, Janáček or Busoni. Nobody knows who their pupils could have gone on to become. An entire future was destroyed, numerous possibilities denied. Their stories are far more than a list of anecdotes for an article, far more than a shocking statistic. These were all real people. Perhaps most disturbing is that the perpetrators enjoyed music too. Hitler famously idolised the work of Wagner, whilst Maria Mandel - the SS Officer who created the Women’s Orchestra of Auschwitz and who is believed to have been complicit in over 500,000 deaths - particularly favoured Madame Butterfly. Shockingly, the perpetrators were all real people, too. 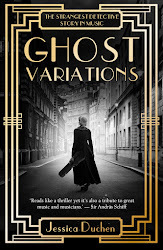 There are many stories that shock a modern-day reader, we who are used to (and perhaps take for granted) the comforts and luxuries of modern life. This Holocaust Memorial Day, we should remember the individuals behind the statistics – the human stories the Nazis sought to destroy – and, in doing so, we ensure that the aims of the Holocaust are never realised. Seeking to destroy the humanity of the prisoners, instead the humanity was only magnified. The existence of music in such desperate circumstances proves that, despite the evil, somewhere there was decency. Emotion. Empathy. Although music could not prevent such savagery, its existence reminds us that despite chaos, killing and suffering, some people, somewhere, maintain a flicker of humanity. We need another Britten. Facing social and political divides, and frequent misperceptions of classical music, we need a musical polymath to become an ‘establishment’ figure who can excite the public and prove that all aspects of music can unite us. What happened to the classical musician as the public voice of justice and humanity? In public and in private, Benjamin Britten was exactly what the 21st-century needs. The problems we face today were all in some ways addressed by the composer. Born in Lowestoft, Britten was never a representative of the highest born elite, and so was a perfect representative of the ideal of music for all. Today classical music faces criticism that it is the preserve of a wealthy minority. Composing for schoolchildren and amateur groups in works like Noye’s Fludde, Britten opened the genre to younger audiences, a passionate advocate of music education. Today we are surrounded by debates about how best to engage younger audiences with classical music. Determined to ensure the success and accessibility of Aldeburgh and later Snape Maltings, in 1953 Britten told Imogen Holst that “We’ll have a school here”. Today music festivals are fighting over Arts Council funding whilst trying hard to launch new schemes for young composers and performers. As a homosexual who neither flaunted nor suppressed his sexuality in public, Britten frequently used his music to express his personal viewpoints and comment on contemporary issues, be it conflict in the War Requiem or homosexuality in Death in Venice. In 2017, we commemorate 50 years since the decriminalisation of homosexuality in Britain, whilst also facing growing conflict in Syria, Ukraine and Yemen. Britten was a vital figure in a divisive century; he came to epitomise freedom, the rights of the individual, and the openness of music to all. He came to symbolise Britain. But where is our Britten today? We have musicians who champion classical music amongst young people and amateur ensembles, likewise we enjoy high-profile conductors like Sir Simon Rattle championing the arts in the face of cuts and cultural cynicism. But do we have a figure entirely comparable to Benjamin Britten, both in the breadth of musical disciplines they represent and the public platform they occupy? 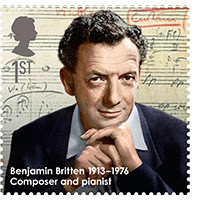 In being equally capable and known as a composer, teacher, conductor, pianist, accompanist, writer, musical spokesperson and civil rights symbol, Britten was able to demonstrate the gamut of music’s potential to benefit society as a whole. Barenboim is probably the most notable and publicised musical polymath of today, known equally as a conductor, pianist, writer and political activist, but who in Britain can claim to combine such disciplines in an equal manner, and with similar publicity in the mainstream media? A musician of Britten’s versatility is more likely to encourage the public to adopt them as a figurehead, since they represent so much more than an interest in a certain repertoire or an area of music. To generalise, a top-class, frequently-televised conductor will likely appeal to an audience at least partially distinct from that which is attracted to a musical academic; it is reasonable to assume that a conductor of, for example, Leonard Bernstein’s stature, was attracting certain fans who may not have occupied the circles surrounding, say, Charles Rosen. Similarly, a song accompanist will likely have a very different main circle of admirers than a musician who is a political heavyweight. Britten, and Bernstein in America, stand out because they combined these diverse skills, and in doing so they came to represent all that was great about music, making them more likely to be adopted by the broader public as a representative of the arts. In uniting different musical disciplines, and combining this with a distinct personality and determined set of personal beliefs, Britten was able to symbolise all that was exciting, fair and engaging about classical music. A representative in its fullest sense. But Britten was not only a great figurehead because of his own attributes. Society was receptive to his influence. Britten was commissioned to compose an opera – Gloriana - to celebrate the coronation of Queen Elizabeth II, whilst he also welcomed the Queen to the new Snape Maltings hall, just outside Aldeburgh, in 1967. He was given a platform that made him very much an establishment figure – one who the public recognised and thus one who was listened to – whilst also maintaining the freedom to express his own, often then-controversial, views. He was associated with his country and treasured by its public whilst also able to maintain his own viewpoints. Nowadays, composers continue to be commissioned to compose for royal events, with Paul Mealor writing for the wedding of the Duke and Duchess of Cambridge; classical music continues to be at the heart of national occasions. Music itself has not lost its ability to unite people or to commemorate moments of national significance; likewise, music has not lost its share of high-profile figures who champion the arts. The problem is that the public platform for such views has diminished. The majority of these figures are still confined to musical circles. The debate about the importance of music in a volatile world is restricted to the musical world alone. What Britain lacks today is a figure that represents the arts to the wider public. Other nations have this. Gustavo Dudamel opened up music for younger generations when he was appointed music director of the Orquesta Sinfónica Simón Bolívar – Venezuela’s national youth orchestra - in 1999. Daniel Barenboim has shown music’s capacity to unite opposing factions by conducting both Israeli and Palestinian musicians at a concert in 2014 to promote peace in Gaza. However, it’s not that Britain doesn’t have its own classical figureheads. Nicola Benedetti established the ‘Benedetti Sessions’ workshop programme that offers rehearsals, masterclasses and performances for young people. Classical music still enjoys a broad range of global and national ambassadors who, like Britten, champion the genre as a way of breaking down age, class and political barriers. But are they recognised in truly public spheres for doing so? We no longer see vast crowds of excited children attending the opening of a classical concert hall, as we did with Britten in 1967. Nor is the general public likely to identify a classical musician as a national and global figurehead for education, rights and freedom. Whilst Britten came to epitomise musical inclusiveness and the apogee of British musical achievement, today we lack a figure who an everyday Briton would immediately recognise as ‘ours’. Top musicians like Rattle, Benedetti and others are widely recognised for their championship of the arts, but this is still largely confined to musical circles. Think how many movie stars appear on The Graham Norton Show, The One Show or Top Gear, and then consider how many classical musicians we see in similar prime-time slots. 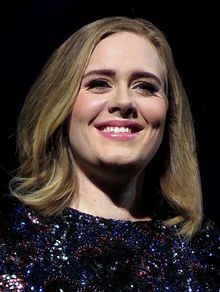 Ask someone in the high street which musician best unites and epitomises this country, and they’d probably say Adele. But Adele does not combine the variety of disciplines that Britten did, a diversity that would provide the strongest possible evidence of the power and importance of music to all. Britten was a fantastic symbol of music’s potential to better humanity because he represented so many different aspects of this musical world. Yet without a platform, even a figure who did match Britten’s diversity would struggle to become a national icon. Whilst classical musicians are still trying their utmost to promote the accessibility, equality and openness of music in the manner of Britten, they seem to lack the public voice that gave such a platform to Benjamin Britten, and to Handel and Elgar before him. What makes a Britten so necessary today is that he represented a time in which classical music occupied a central role in society. Whilst music, both then and now, tries to unite people in times of division – look at the ‘One Love’ concert in Manchester – classical musicians no longer seem to occupy a pivotal position in this. It is significant that, on that Manchester stage, not one classical musician appeared. This is at least in part a result of newspaper headlines that today favour a Britain’s Got Talent controversy rather than a Leonard Bernstein, and newspaper arts sections that diminish in size by the day. Whilst classical music used to feature heavily in newspaper columns and radio discussions, we must now travel ever more frequently to specialist music websites and journals to hear the same level of discussion about classical music. There are numerous individuals working tirelessly to promote classical music and to bridge divides, but they are not receiving the publicity they deserve. Their voices are confined to the musical circles that already support their beliefs. However, it would be wrong to suggest classical music has diminished as an agent of change on the world stage solely because of a lack of mainstream media coverage. Alongside greater media support, classical composers must not be afraid to speak the language they find most truthful to them; with the growing recognition of film and game scores as legitimate forms of classical music, and the movement away from the hegemony of atonality and the accompanying belief that one must only write twelve-tone music to be taken seriously, I believe our musical integrity is improving. We must continue to pursue music as an honest reflection of what is within us, and not write what we feel we ought to. And so, to be both artistically true to oneself as well as socially useful – is that not the purpose of music, after all? – composers must be strong enough to pursue their own individual goals, without fearing stigmatisation, whilst also trying to have some form of useful voice. 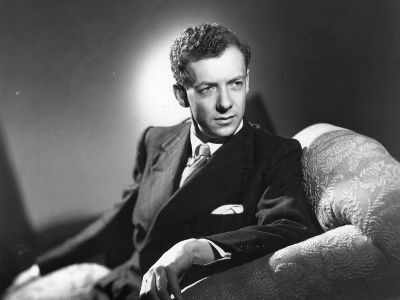 Britten was strong enough to admit he was many things at a time when it was unconventional to be so: a pacifist in a time of war, a homosexual in a time of conservatism, a tonal composer in a time dominated by atonality. He was strong enough – and respected enough – to be himself. As such, we need another Benjamin Britten - someone all people can identify with, and identify with classical music – as well as a mainstream media that gives greater attention to such figures. We need someone who can encapsulate both the freedom of music to say what one desires, as well the necessity of allowing such music to communicate something valuable to the broader public. British classical music needs a polymath public figurehead again. Jack Pepper is an 18-year-old composer and writer from Surrey. Having written a fanfare for the Royal Opera House in 2016, he has since composed for Classic FM’S 25th birthday, in association with the Royal Philharmonic Society. The Royal Liverpool Philharmonic performed this commission in October 2017. His writing has appeared on the Gramophone and RPS blogs, and in Opera Today.